Don’t let cost be the reason you wait to take care of your dental needs. Without a question, regular trips to the dentist are vital to maintaining the health of your teeth and gums. But for people without dental coverage, cost often stands in the way of getting the care they need. Even for routine preventive care, a trip to the dentist’s office could mean a substantial amount of money out of your pocket. Not surprisingly, many people put off going to the dentist for that very reason. 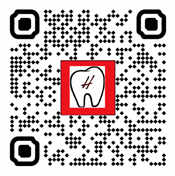 Now you don’t have to because you can sign up for our Dental Discount plan. This affordable plan brings quality dental care within reach. We hope this will help our loyal patients without dental coverage get dental treatment sooner! It’s easy to become a member. Just stop by any of our offices and sign up today! 1. Patients that do not have insurance are considered self pay. 2. $30 a month for a year ($360 total) and payments must be paid by automatic draft from your checking or savings account with yearly automatic renewal. 2. $50 a month for a year ($600 total) and payments must be paid by automatic draft from your checking or savings account with yearly automatic renewal. 2. $75 a month a year ($900 total) and payments must be paid by automatic draft from your checking or savings account with yearly automatic renewal. The membership for the Discount Dental Plan pays for itself through endless savings on your dental treatments, exams, cleanings, and x-rays throughout the year.